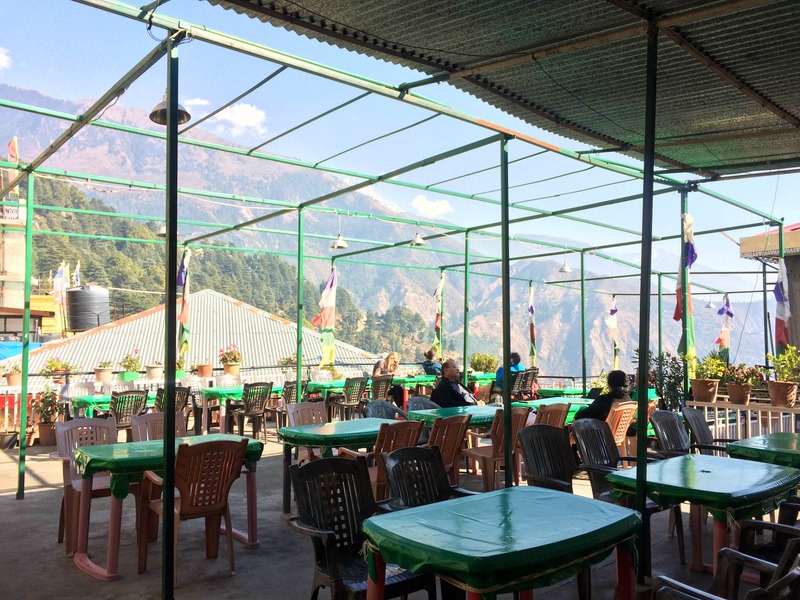 Kunga & Nick's Italian Kitchen offers a mix of Tibetan, Chinese, Indian, and Italian dishes, along with a breathtaking view of the mountains. We went here for a quick breakfast and instantly fell in love with the look and feel of this cosy little joint on Bhagsu Road. There's both indoor and outdoor seating. The menu has a good variety of vegetarian and non-vegetarian options along with a selection of freshly baked cakes. We ordered a Grilled Veg Cheese sandwich which came stuffed with fresh bell peppers, zucchini, and lots of cheese. The classic fries and salad added a nice finishing touch to the dish. Though it was perfect, we realised that the Oreo Shake was a bit heavy for breakfast. I'd recommend a cup of coffee instead, which one of the bestsellers at Nick's. We ended our meal with a slice of Walnut Brownie and weren't disappointed. Visit them for their beautiful terrace seating and good food that comes at affordable prices.